The South African and Zimbabwean citrus season is about to start. “Most growers wanted to start this week or last weekend, but the harvest has been delayed somewhat because of rain. 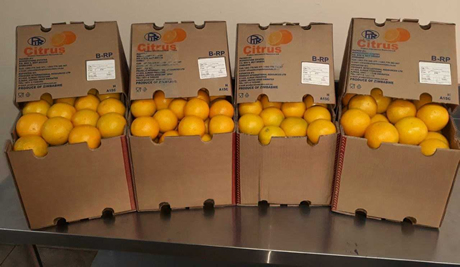 However, if the weather stays dry, harvest and packing will start this week, and the first boat loaded with a fair volume will depart next week,” says commercial manager Tjeerd Hoekstra of Total Produce in Rotterdam, the Netherlands. Besides, the European market is no longer the first priority of South African exporters. “Everyone is working hard on gaining access to other markets, where prices are supposedly fixed. Because of this, the volume for Europe decreased in recent years. Unfortunately, at the same time it can be noticed that they need Europe to lose volume of the final Valencia, for example, when other markets are full. Export volumes then increase, but that doesn’t necessarily mean quality increases as well. All in all, it could be said that doing business with South Africa is changing for importers,” Tjeerd concludes.